I'm a big fan of festivals. Obviously there are downsides to them; there's the British weather, camping isn't the most comfortable way to live especially when you're rubbish at being a pack horse / putting up tents, and portaloos are definitely not a fun experience, but there is sheer joy in spending a few days bumbling around, listening to good music, usually in a drunken haze with a bunch of friends. It is completely permissible to wear whatever ridiculous outfit you want, and to cover yourself in glitter and generally behave like a big child. My taste in festival has become more refined, though. You wouldn't catch me dead at Reading, with all the teenagers throwing piss all over each other. 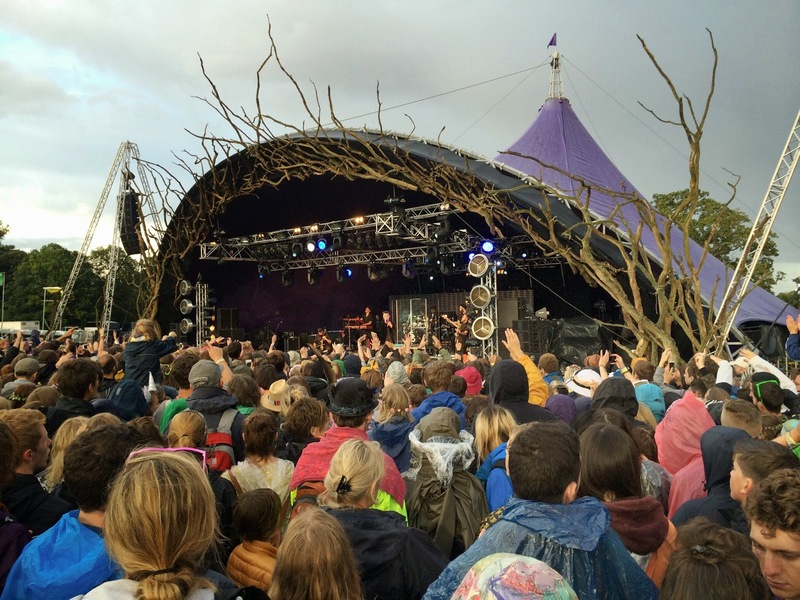 The Big Chill was incredible the two years I went; then it was bought by an events company and turned into a big-branded corporate nightmare, before it folded after 2011. I went to Bestival once, in 2008, and it was so horrendous I had to take a two year hiatus; it wasn't Bestival's fault that the severe weather turned it into a mud swamp, but the general air of aggro wasn't my thing. 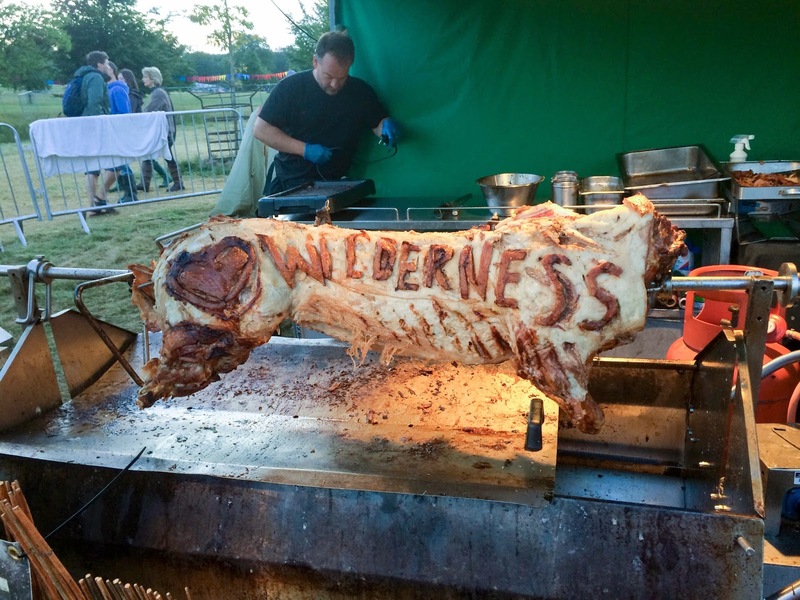 Wilderness is fairly new in the festival world - three or four years, maybe? - and music isn't the core focus to it. 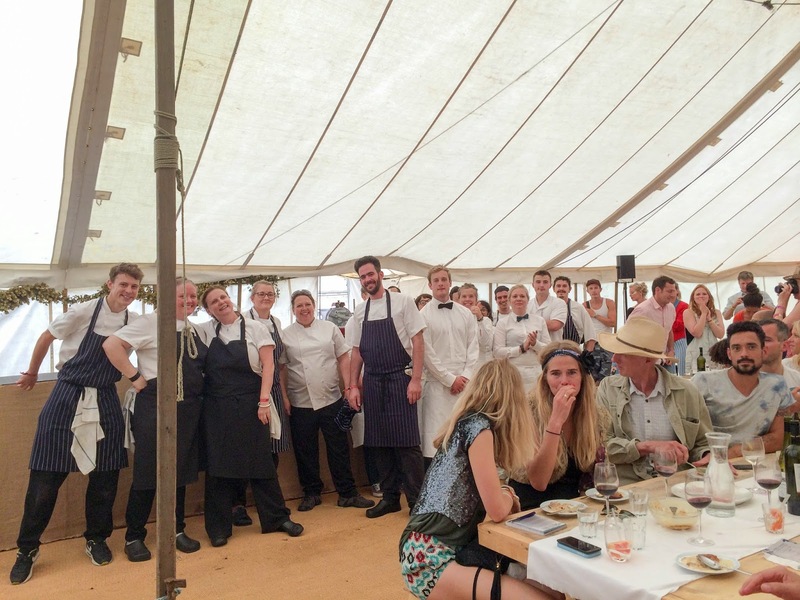 Food plays a pretty big role here - indeed, on their website the chefs attending and hosting lunches and dinners in the Banqueting Hall are given equal line-up space to the headline acts. 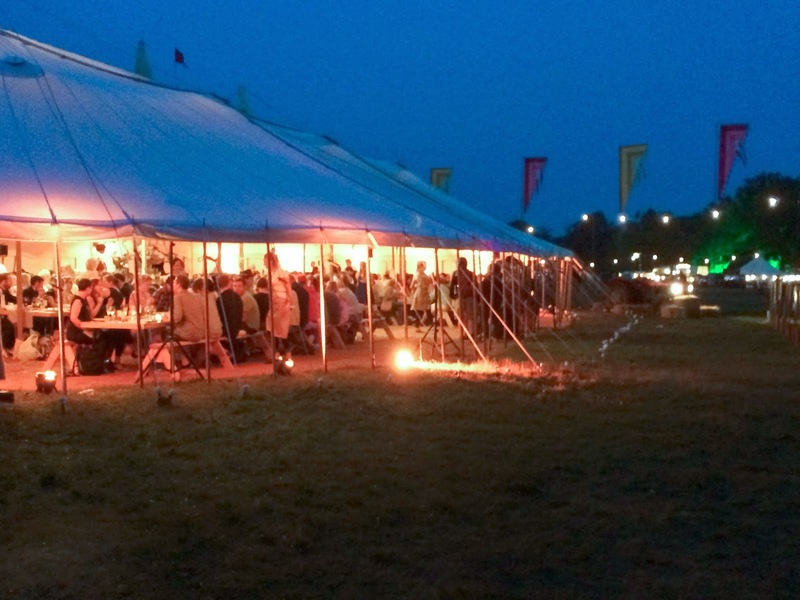 This year Angela Hartnett, Simon Rogan, and Russell Norman with Polpo cooked banquets in the enormous marquee. We'd made a last minute decision to go to Wilderness and by then all the banquets were sold out, but we lucked out by wandering past the hall in time for a lunch and a couple of people were selling tickets that their friends or partners were too hungover / didn't want to attend. 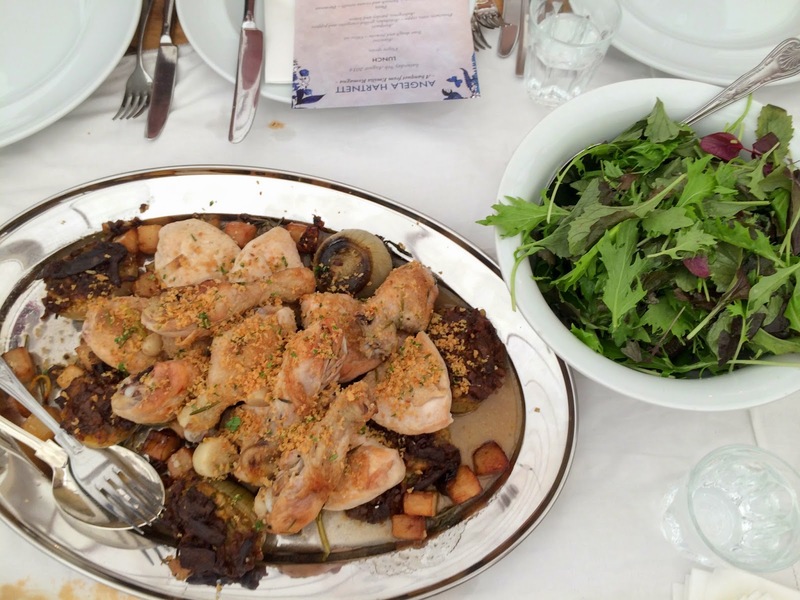 Unlucky for them, as Angela Hartnett's lunch was excellent; all the dishes were served family style to share, and we got chatting to our neighbours, as music played - it felt almost like we were at a wedding party. Crisp, mushroomy arancini, antipasti dishes of cured meats, grilled aubergines, pickled artichokes and basil and spongy foccacia with grassy olive oil started us off. Rigatoni with bolognese and spinach and ricotta tortelli made up the pasta courses, and we were well aware we still had a chicken main to come. Luckily, courses were served in a very relaxed fashion, with a decent amount of time between them for maximum digestion time. I was agog at what a slick operation it was, given we were sat in a field. Chicken with slow roasted onions and fried potatoes damn near finished me off. The leaves were dressed with incredibly intense lemon and was essential in balancing the rich sweetness of the onions. Dessert was baked peaches with amaretti biscuits and zabaglione - a very liquid custard - I just about managed a couple of mouthfuls before we declared ourselves defeated, and went for a lie-down with our new friends and a pint in the sunshine. The cost was £45 a head, with an aperitif, red and white wine to share between 6; considering that most of the food on offer hovered between £7 - £10, sitting down in a banquet hall and being served 4 courses with booze seemed a pretty good bargain. Otherwise, Southern fried chicken tacos from Ambriento were okay, but not as great as they usually are from their regular East Dulwich spot. Pork and beef chuck meatballs from The Bowler were life-giving goodness - nestled on wild rice and swimming in tomato sauce, they were also topped with fried shallots, sour cream and coriander; every bite was full of flavour. Anna Mae's macaroni cheese benefitted from a squirt of Sriracha, and was comforting and filling. Casual food offerings were vast and plentiful, from yoghurt and muesli (hah.) to your more usual, like pizzas, burgers and hot dogs. 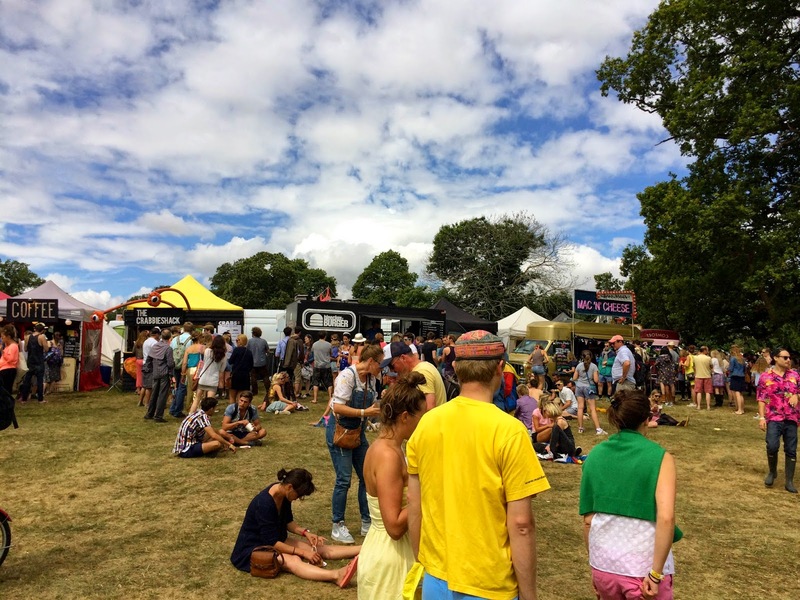 This is not the crappy stuff you'd be more used to at festivals in the early 2000's though; I regularly hear that Bleeker Burger are one of the best in London and I am only sad that I was too delicate to face a burger while I was there. 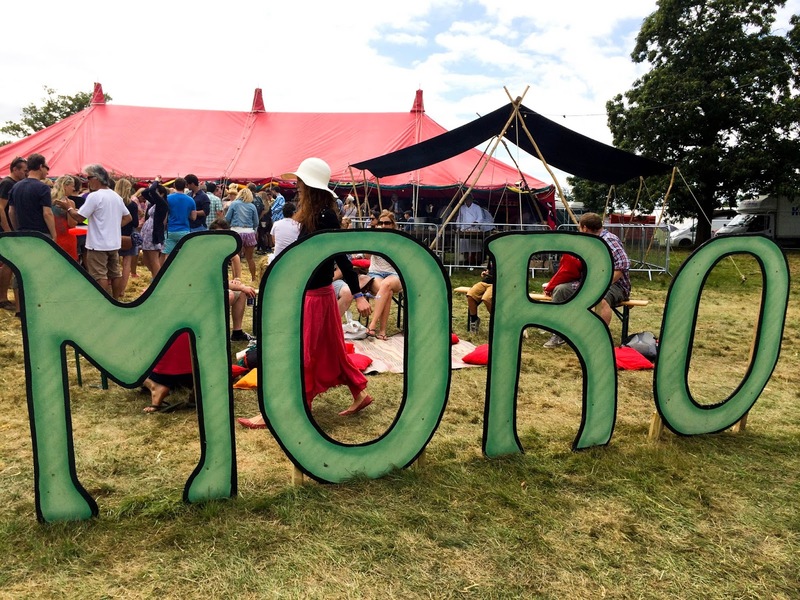 Moro, Hix and St. John all had their own tents in which they held feasts and Moro very cleverly set up a takeaway operation too. 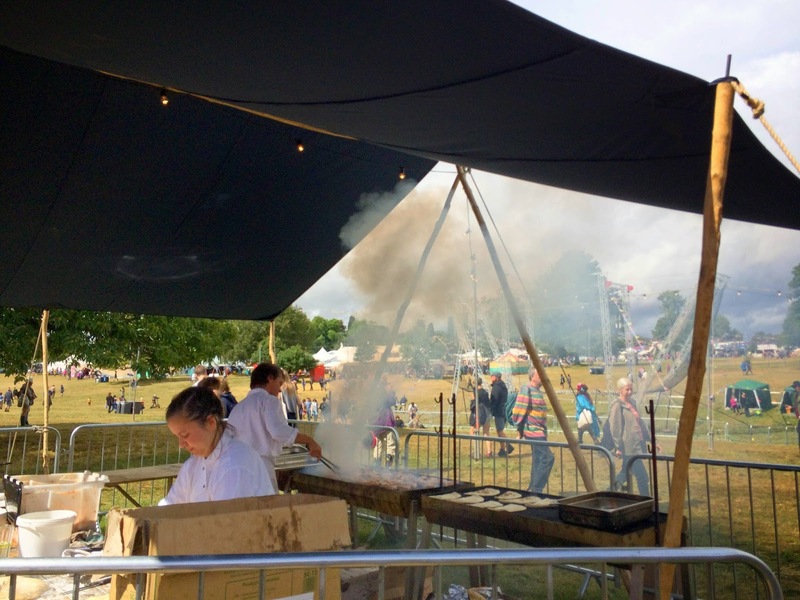 Charcoal barbecues emanated wafts of lamb cooking and flatbreads charring, enticing you in. 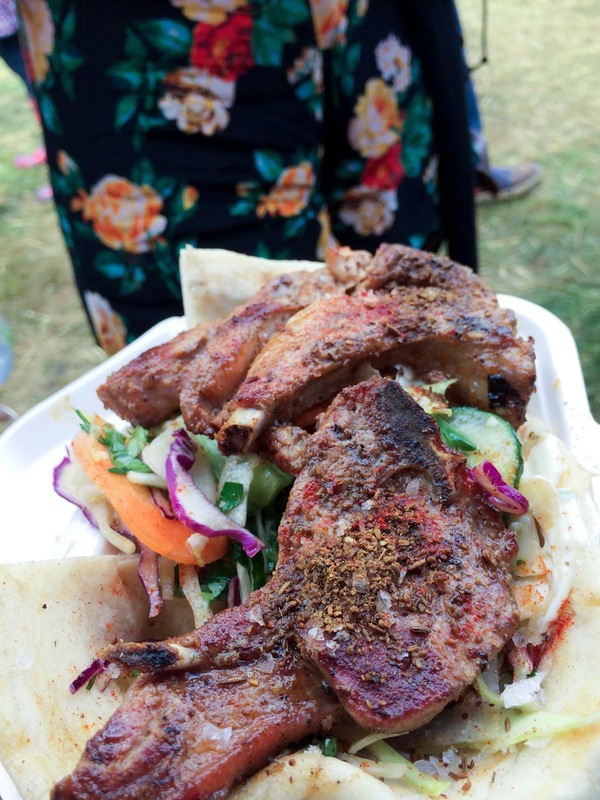 For £7, two spiced lamb chops on a bed of chopped salad and flatbreads were great value; the lamb chops were dusted in a variety of spices and they were some of the most juicy and tender I've tried, though they had a slightly heavy hand with the salt. 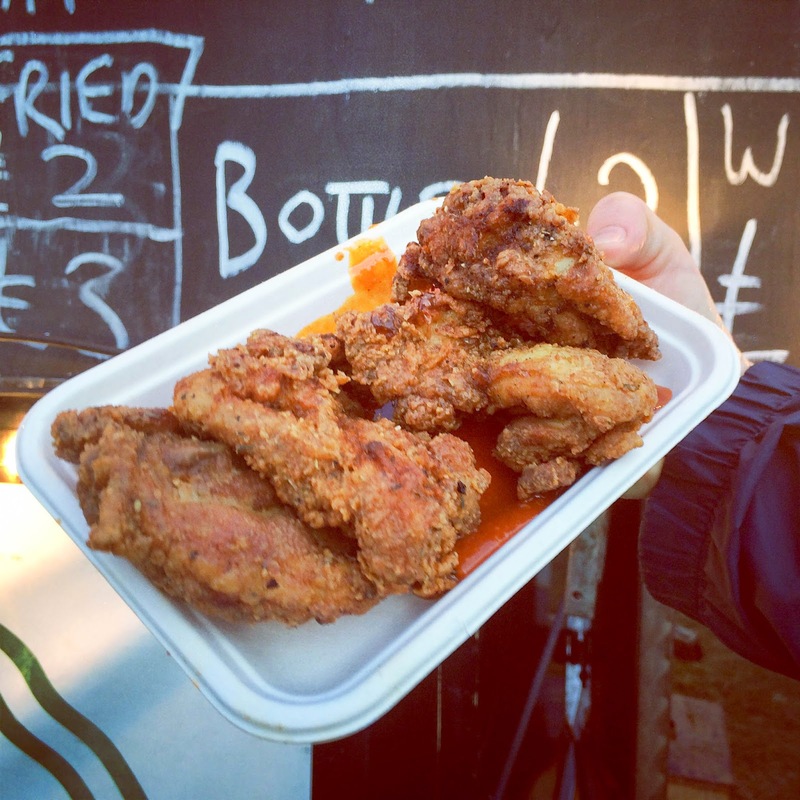 Credit too, to Spit & Roast who were selling some incredible fried chicken. 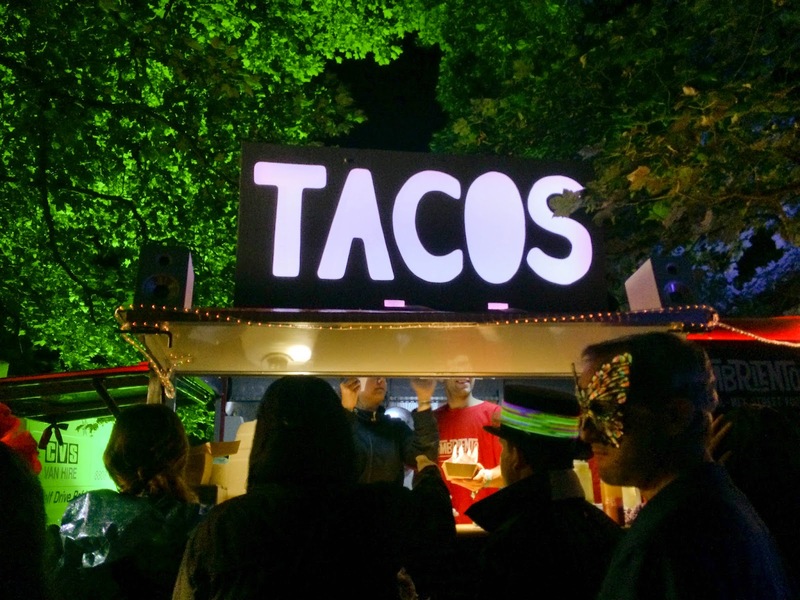 After a skinful of wine on the Sunday night we came across their stall and almost ran towards it, tripping over each other in haste. The chicken was properly crisp, with juicy insides and a flavoursome crust. The fruity chilli sauce took no prisoners and was incredibly addictive too. 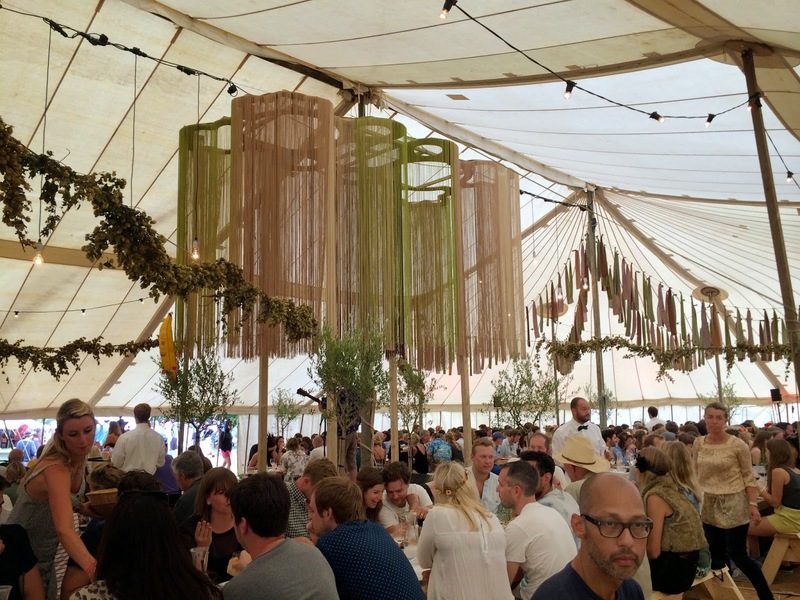 Initially I was slightly nervous that Wilderness would be full of hooray Henrys, quaffing wine and rah'ing all over the place but actually (and despite the Mulberry 'craft' tent and Laurent Perrier champagne garden) there was a good mix of debauchery. Small, nondescript tents revealed secret casinos and the like, meaning it was impossible to stay in one place for too long. 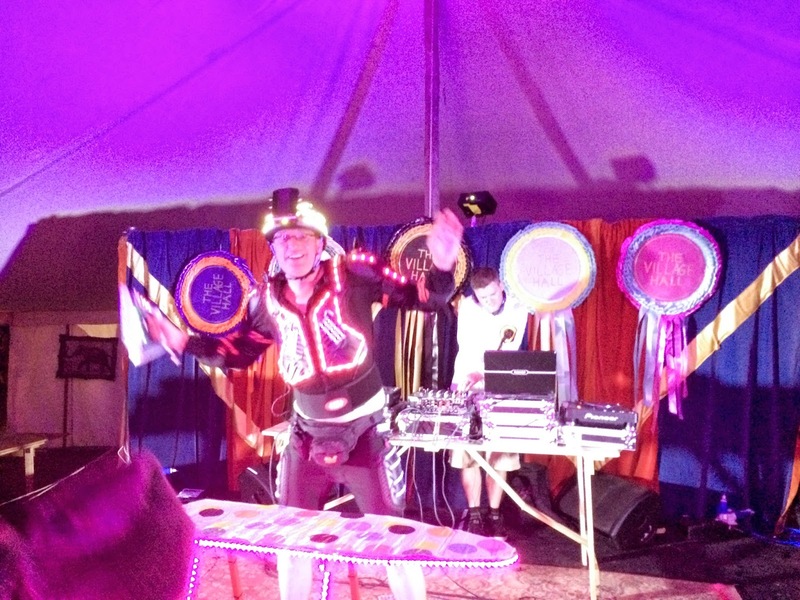 Deep inside a valley, the Pandemonium stage fired off dry ice and lasers, disco balls lazily spinning while seemingly most of the childless at the festival partied there until the early hours. On the one day we actually had constant sunshine, going for a swim in the lake was incredibly refreshing. 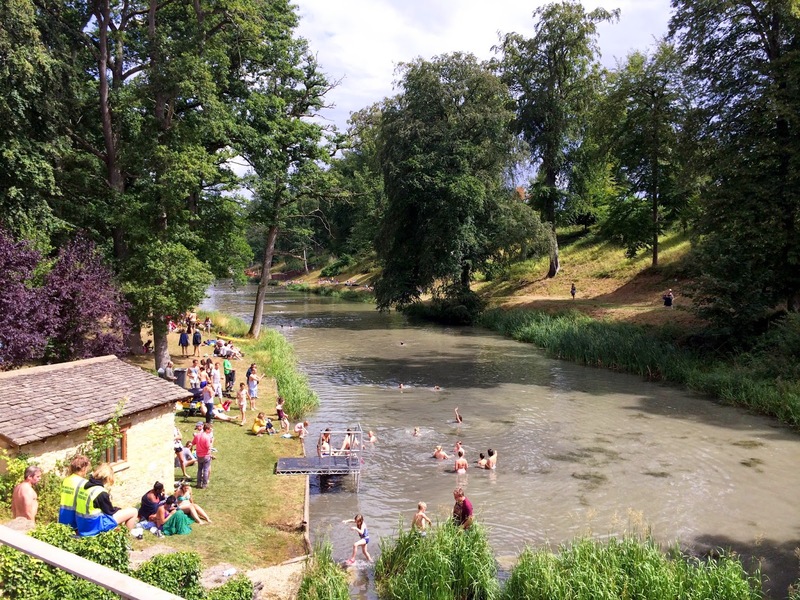 Lifeguards were on hand, mostly bemused by naked streakers running down from the campsite. 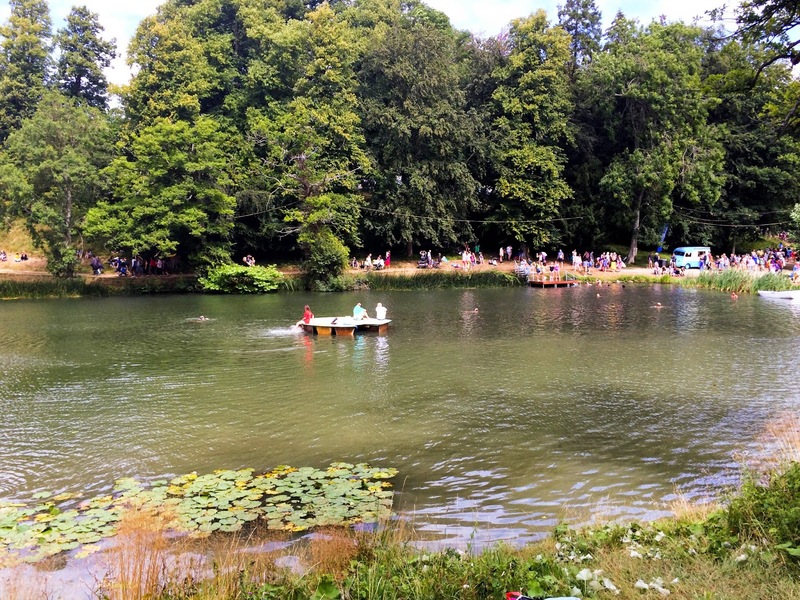 Although we didn't actually make it to any of them, there were lots of outdoorsy activities available, though you had to book them in advance; yoga, horse riding, archery and foraging were all things that would have been good if I'd got my act together in time. Instead we plonked ourselves down with a healthy view of the bar. As I get worryingly close to 30, festivals like Wilderness are more my bag; decent food, interesting talks and things to go and see, balanced with DJs to dance like a dickhead to until the thoroughly decent finishing time of 4am. 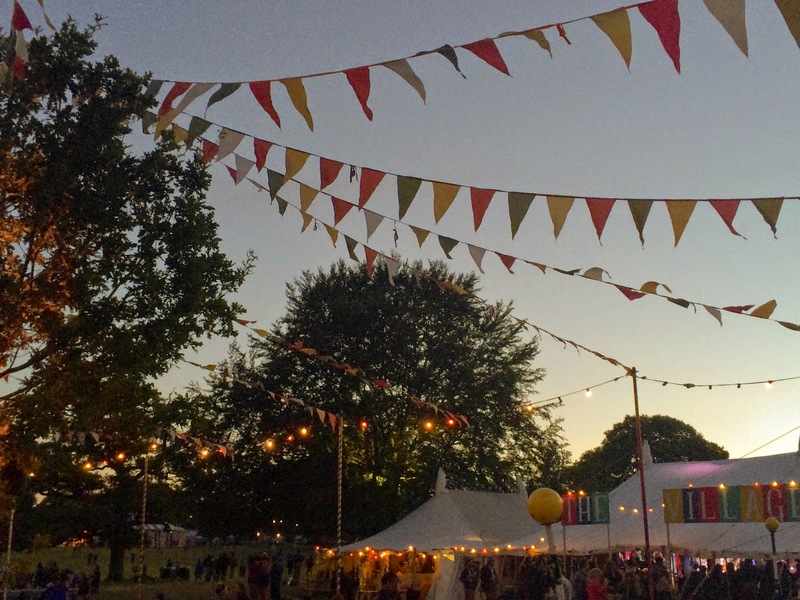 My only gripe was that the festival was a bit too spread out; there was a lot of traversing to get from one group of friends to the other, and we had a tendency to get very lost, all the time.